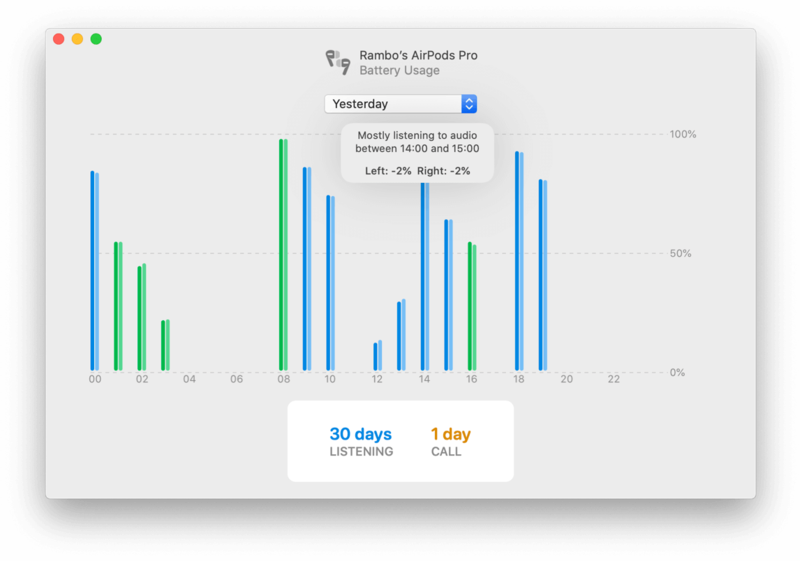 AirBuddy 1.0.4 – Brings the same AirPods experience you have on iOS to the Mac. AirBuddy brings the same AirPods experience you have on iOS to the Mac. With AirBuddy, you can open up your AirPods case next to your Mac and see the status right away, just like it is on your iPhone or iPad. A simple click and you’re connected and playing your Mac’s audio to AirPods. Oh, it also makes sure the audio input of your Mac is NOT switched to the AirPods so you can get the best possible quality. With the Batteries Notification Center widget, you can also see the battery status for your Mac, including how much battery time you have left or how long it’ll take to finish charging (if it’s charging). The widget also shows the battery status for your AirPods, their charging case, other W1 headsets like Beats headphones and your iOS devices. Next story Cisdem Video Converter 3.12.0 – Free player for almost any media type. Previous story SonicWeb Internet Radio Player 2.4 – Internet radio player and recorder.